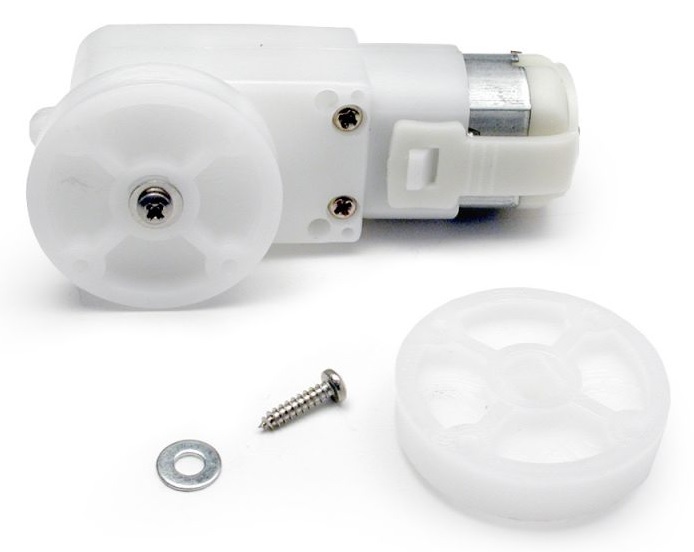 These Solarbotics GM3 – Gear Motors are very comparable to a hobby servo for power, at a fraction of the cost! Fit perfectly with GMPW and GMW plastic wheels. This gear motor rotate 360 degrees every 1.6 seconds (just a hair slower than a servo), at 5V, drawing 600mA at stall (free running at 52mA). 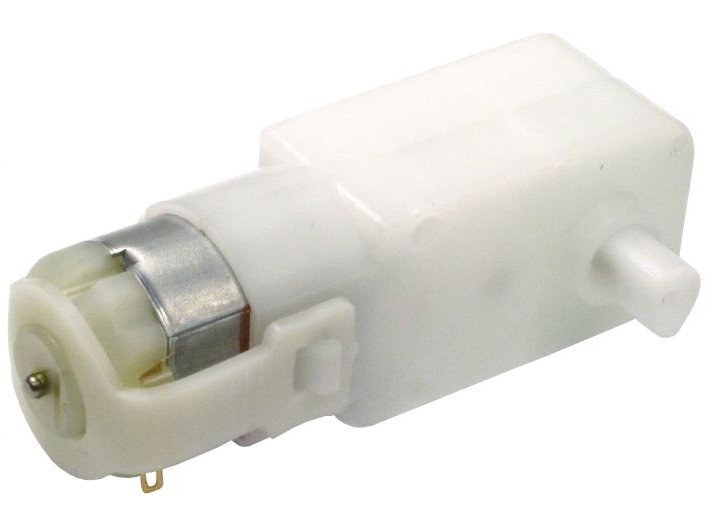 With a 7mm double-flat output shaft (avoid using the “D” output – it’s not meant to take rotational load), and a built-in clutch (limiting at 60 in.oz, but easily “locked”), and built-in mounting screw holes, you can see why we like these motors! 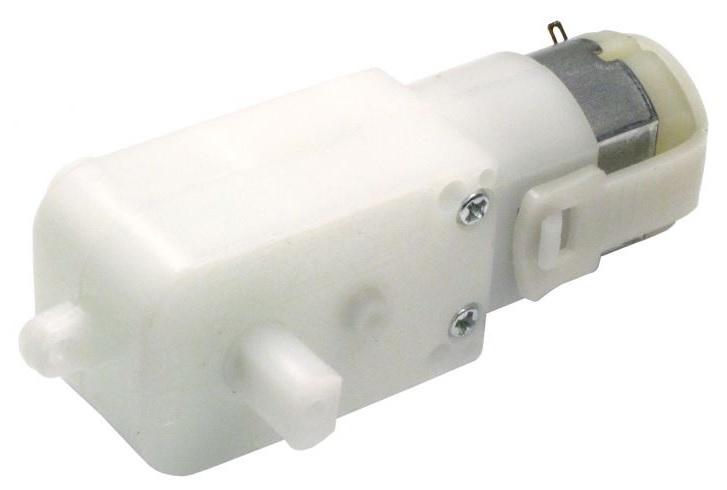 Based on the original design by Mark Tilden for use in the B.I.O.-Bugs (GM3 are now used for use in the Robosapien), these motors are the next generation with a variety of improvements such as dual output shafts and a lower current motor. 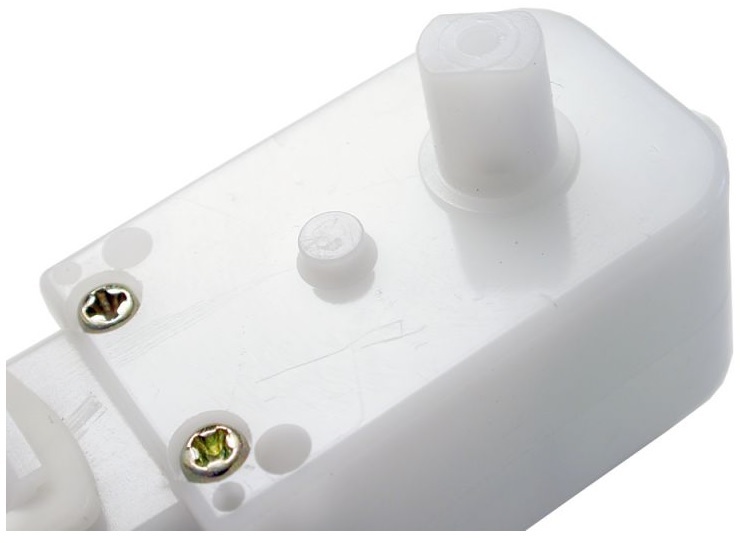 GM3 – Gear Motors are compatible with the Solarbotics Wheel Watcher Rotation Encoder. Use it if you need to control a robot for dead reckoning, tracking odometry (distance traveled), stalled motor, or closing the feedback loop for position/velocity/acceleration. 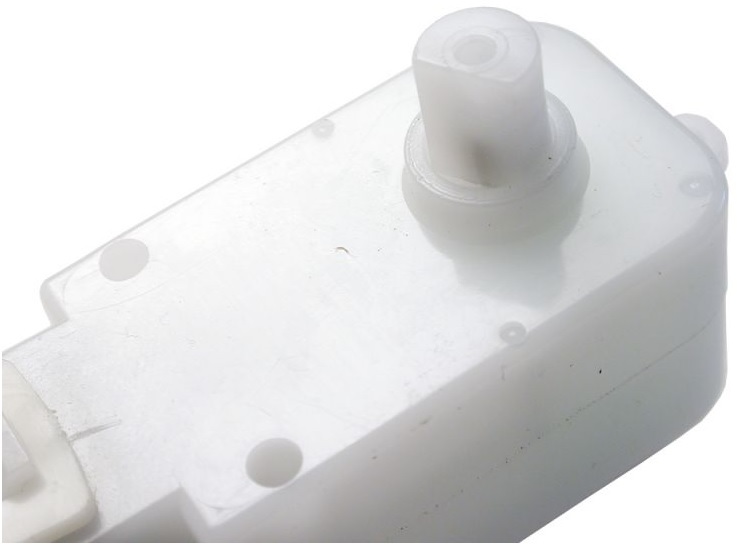 They are 30mm in diameter, 7mm wide, and the double-flat slot fits onto the gear motor’s shaft snugly.